The couple warned about the rising trend of nationalism in wealthy countries, saying that "turning inward" could dissuade rich nations (like the US) from investing in global health. "Nationalism is a word we’ve been hearing a lot more often these days," Melinda Gates said in the letter, which is the 11th annual note from the couple. The letter tradition started as a way to give a rundown of the Gates Foundation’s work but has morphed into a yearly look at the state of the world. The rise of nationalism is not just noticeable in the US, where President Donald Trump has said he wants to put "America first." In the UK, the Brexit deal was framed in a similar way — as a plan to economically separate Britain from the rest of Europe. The trend is also apparent in Brazil, Austria, the Philippines, and other nations, scholars have noted. "At its core, nationalism is the belief that a country’s first obligation is to itself," she wrote. "There’s an element of that that I think many of us would agree with." "There is nothing about putting your country first that requires turning your back on the rest of the world," Melinda said. "The reason that countries like the US invest in foreign aid is that it increases stability abroad and security at home," she said. "Strengthening health systems overseas decreases the chance of a deadly pathogen like Ebola becoming a global epidemic." "Ensuring that every parent everywhere has the opportunity to raise safe, educated, healthy kids makes it less likely that they will embark on desperate journeys to seek better lives elsewhere," she said. 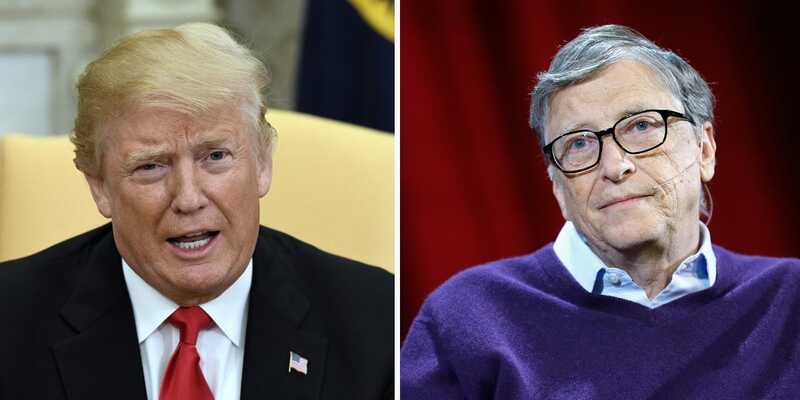 "Even if you only care about the welfare of your fellow citizens, these investments are overwhelmingly smart things to do," Bill said. "Progress benefits everyone."